New Beginnings re-sided my home and did a wonderful job. Any concerns I had were addressed immediately and in a friendly professional manner. The workmen were friendly, polite, & knew what they were doing, on time, and cleaned up after themselves. We will contact you within 24 hours for an appointment! 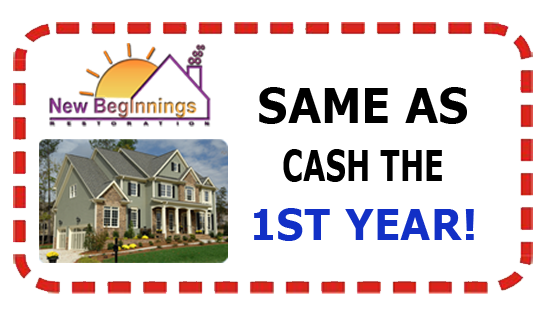 New Beginnings Restoration accepts credit cards Or Many Financing Options Are Available. Master and Visa card are accepted. Copyright© 2013 New Beginnings All rights reserved. Phone: (734) 480-0003 Email: sales@newbeginningsrestoration.com for a Free Consultation!